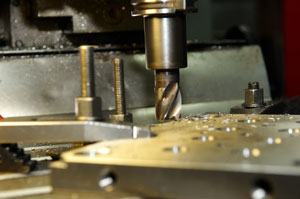 Milling is the process of producing machined surfaces by progressively removing a predetermined amount of material from the workpiece which is fed into a rotating cutter (a milling cutter is a tool made to size and shape of the desired shape of the end product). Conventional milling requires the setups and production, for the most part, to be done manually. There are two basic types of machines vertical and horizontal. The vertical machine has a spindle that holds the milling cutter or cutting tool that can be raised or lowered to the workpiece. The horizontal machine has a spindle that rotates with the table being raised or lowered to the workpiece. Both machine tables can move longitudinal and crosswise. Some machines allow the table to be swiveled. 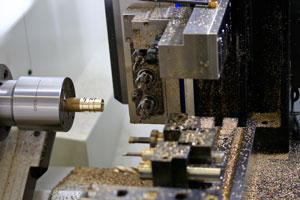 Both styles of machine require a tool change to be done manually. Selection of type of machine used will depend on size of workpiece and the type of milling required.